If you are looking to invest in Gwadar, you may hardly be able to visit the location yourself due to the distance and unavailability of direct flights to Gwadar. If you rely on google maps to mark a location, it often becomes a very painstaking job due to unavailability of infrastructure and least development. Also, many things come under the planned projects where Google cannot help you. This comprehensive official master plan will help you understand the exact location of each mouza of Gwadar, and the neighborhood of all existing housing projects as well as open lands. 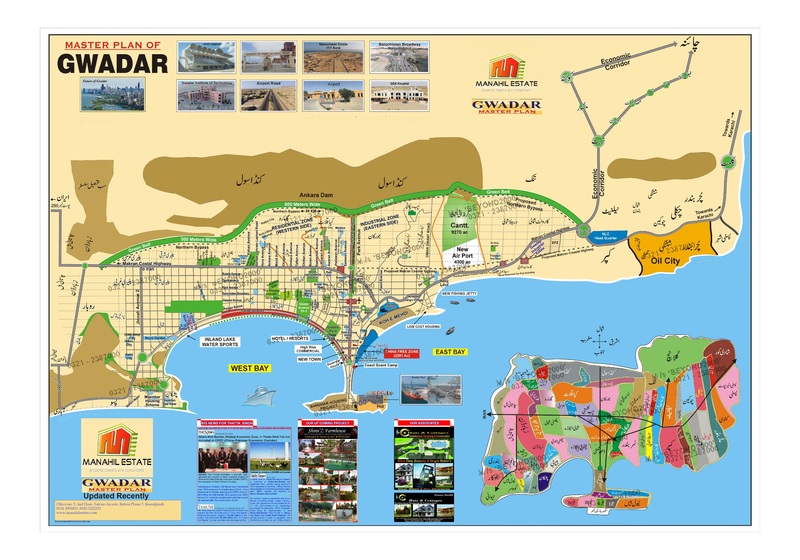 Residential and industrial zones are shown separately on western and eastern side of Gwadar respectively. Cantonment area and Gwadar airport area is also clearly marked on the map. So you will be able to make a better investment decision based on your comprehensive understanding of the whole area. Since further developments are happening frequently in Gwadar, this master plan may be revised again in future. However, you can utilize it for better understanding of the entire layout of the city and make better investments based of this master plan.